As I sit here and type this post I am sitting in a hotel room still swooning over this amazing and totally swanky restaurant this hotel has. Like Lisa Vanderpump swanky. And the food OMGOSH. The best Asian cuisine I have ever tasted. Ever! Now onto things that taste good. This dish so easy and tastes so delish. It's kind of embarrassing that it's so easy to make. It's actually a perfect kids in the kitchen recipe and totally healthy to boot. 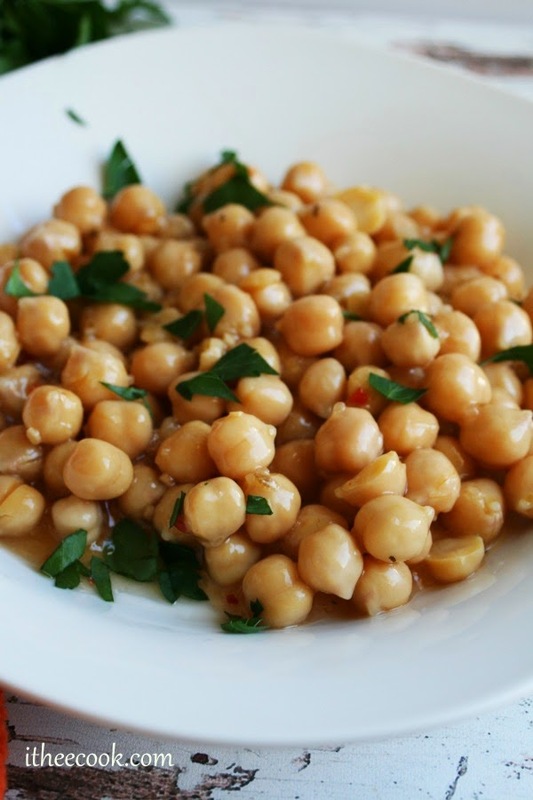 I just love chickpeas. Like in every which way and form. When you think about it they are a pretty versatile little bean. 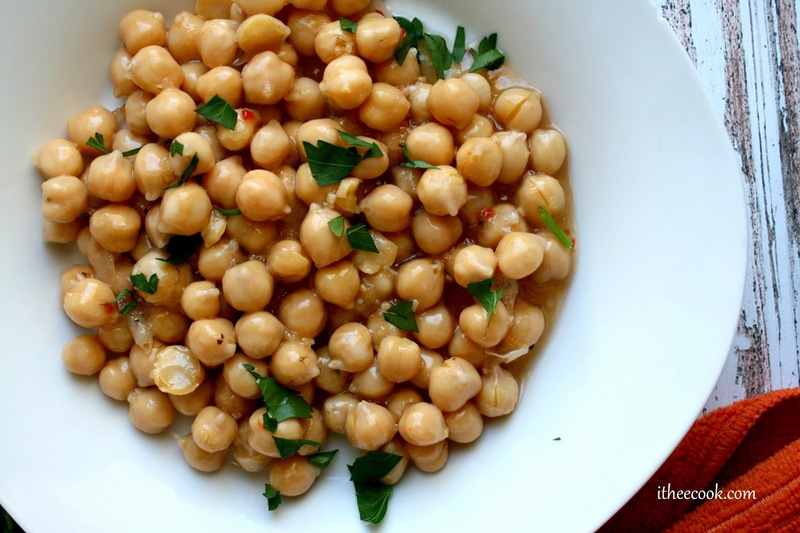 I love them in a falafel, marinated like this, roasted, turned into hummus and so on. This is a totally simple yet elegant dish. A perfect compliment for any dinner, lunch or all alone as a salad. Take it with you to any cook out or dinner party and it will surly disappear. Toss all of the ingredients together. Serve immediately or refrigerate, covered tightly for up to a week. Toss gently before serving. Yum! I bet this is good. 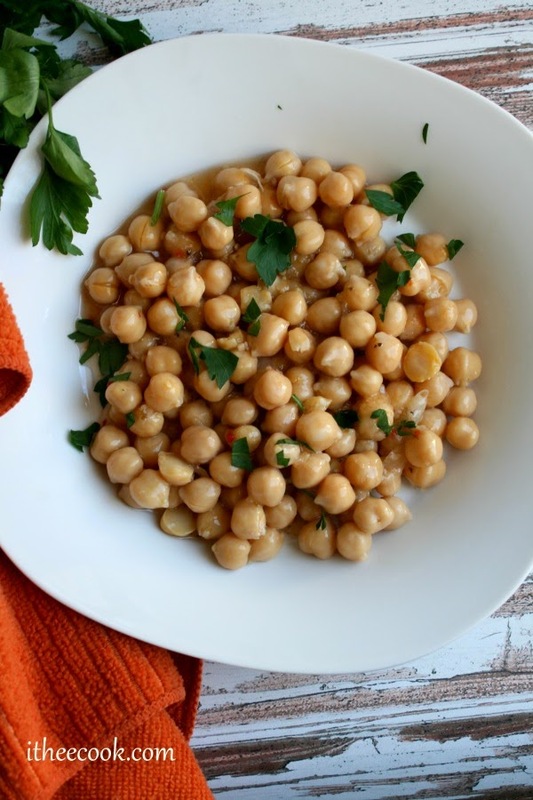 I love chickpeas and I had no idea until around Christmas. I'm liking the idea of them with kidney beans & green beans! Yummy!